Stratosphere, designed for Telford Homes, has transformed a brownfield site adjacent to Stratford station into two buildings boasting striking views. 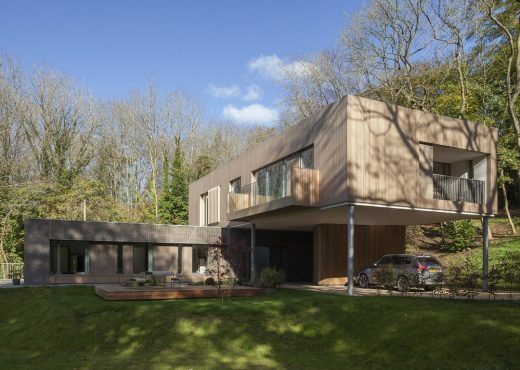 The Wood House, Kent one of fourteen buildings shortlisted for RIBA South East Awards 2018 by the Royal Institute of British Architects judges. There were 43 buildings entered in the region, which covers Kent, Surrey and Sussex. 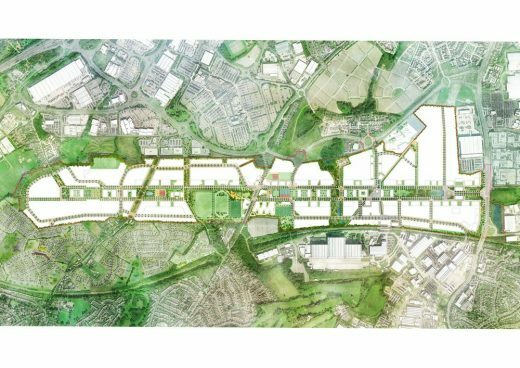 Approval gained for YTL’s regeneration proposal for Bristol’s historic 350-acre site at Filton Airfield. YTL Land and Property purchased the site from BAE Systems in 2015. 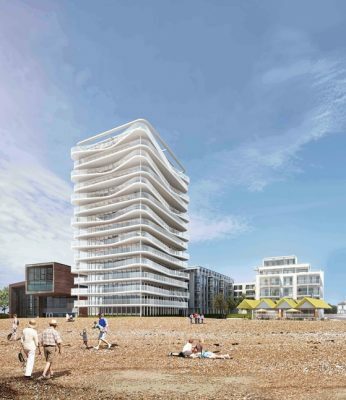 January 25, 2017 – The architecture practice’s design for a new seaside neighbourhood on the former site of the derelict Worthing Aquarena has been approved by Worthing Borough Council. 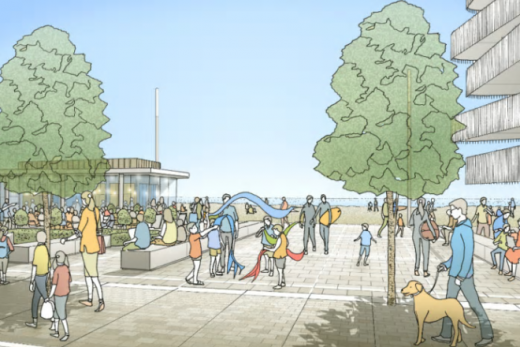 Allies and Morrison Urban Practitioners was commissioned by Worthing Borough Council, to draft an investment prospectus for the town centre which sets out a spatial blueprint to showcase and guide future development opportunities in Worthing. 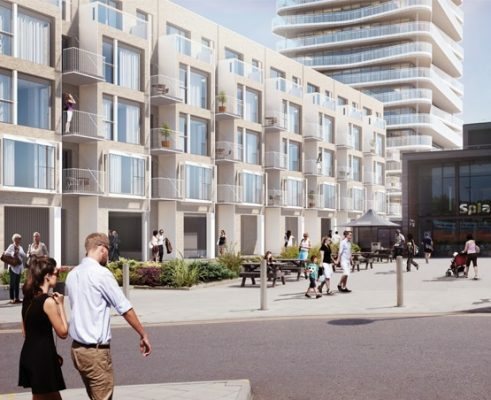 At the heart of the Prospectus is a portfolio of strategic projects to help transform Worthing as a place to live, work and visit, while maintaining the town’s unique personality and distinctiveness. The prospectus sets out a series of strategic principles to ensure that a wider vision for the town centre supports new investment. The sales of its 54 residential units have helped save an important part of English architectural heritage: the former Commonwealth Institute, designed by Robert Matthew, Johnson-Marshall & Partners, completed in 1962, empty since 2002. The scheme includes 1,000 flats and a new campus for the UAL’s London College of Communication along with a 1,000-seat multi-screen cinema and a music venue for an audience of 500, reports Building Design. 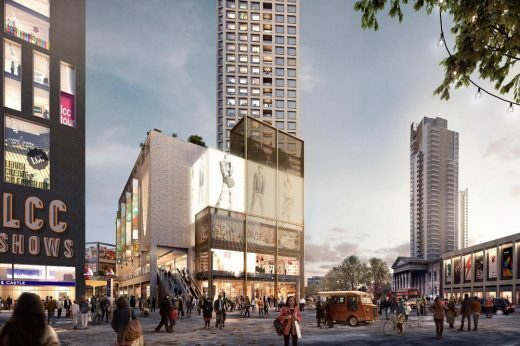 The design for the redevelopment of the Elephant and Castle shopping centre and London College of Communication sites is for Delancey’s client fund DV4 and APG, Europe’s largest pension fund asset manager. Graham Morrison and Bob Allies recognised in the 2016 New Year’s Honours list. Urban Practitioners are joining Allies and Morrison Architects to form a new, integrated, urbanism practice. 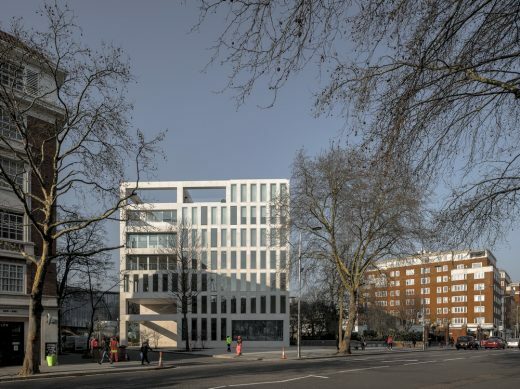 The new practice – Allies and Morrison:Urban Practitioners – will be based at Allies and Morrison’s studios in Southwark. Over the last eight years the two practices have worked in collaboration on a wide range of urban projects. 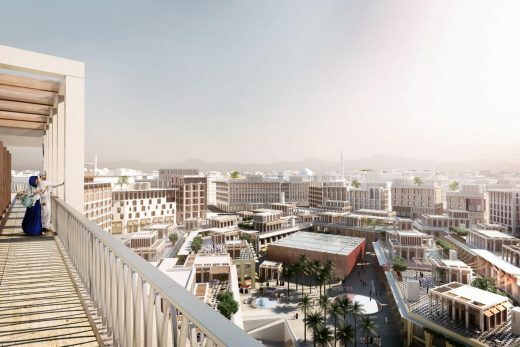 From May 2011, the specialist skills of the two practices will be combined to create a uniquely effective professional service covering planning, masterplanning, consultation and urban design. In bringing together the various disciplines represented by the two practices, the aim is to establish an organisation that is fully equipped to address the complex, contemporary challenges faced by towns and cities not only in this country but around the world. 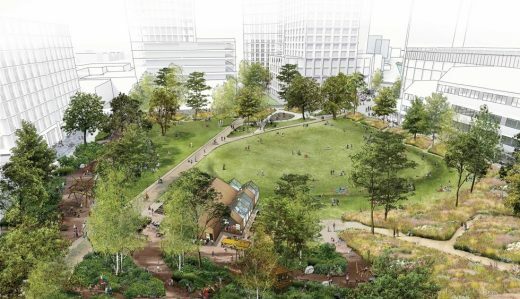 Allies and Morrison: Urban Practitioners will continue to undertake projects suited to Urban Practitioners’ specialisms and experience in planning and regeneration, sustainability, community engagement and conservation. Allies and Morrison will likewise continue its architecture practice. The new practice will be led Helen Hayes, Antony Rifkin and the partners of Allies and Morrison. 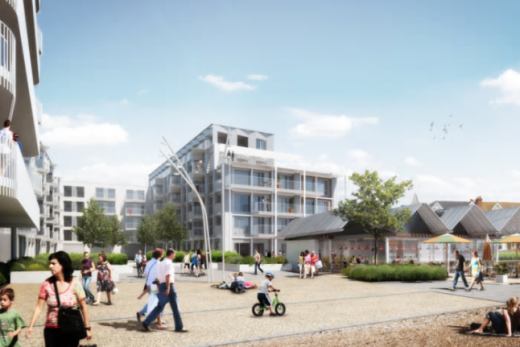 Its first joint project will be Letchworth Garden City where Urban Practitioners and Allies and Morrison have been appointed by the Letchworth Garden City Heritage Foundation as masterplanners for the town centre implementation plan and The Wynd redevelopment. Graham Morrison, partner at Allies and Morrison said: “This is about both practices doing what we do already, but doing it better because of the cross-fertilisation of ideas. This is the best way, we think, of responding to the complexity of the urban context we work in”. Antony Rifkin, managing director of Urban Practitioners said: “We have enjoyed working with Allies and Morrison for many years and our commitment to involving communities at the heart of regeneration and development will form the focus of our new team”. Charles Street Car Park, Sheffield; One Vine Street, London; 13b Paradise Street, Liverpool and a private house in Dunkirk, Kent. Charles Street Car Park is an important part of Allies and Morrison’s masterplan for the regeneration of St Paul’s Place in Sheffield and is distinctive for its visually striking cladding system. Part of the Crown Estate’s Regent Street Vision, One Vine Street is a mixed-used development at the south end of Regent Street and comprises the considered regeneration of a Grade II listed building and forms the first phase of Allies and Morrison’s masterplan for The Quadrant. The private house in Dunkirk, Kent, involves the transformation of an abandoned gun-tower into a beautiful contemporary private residence. 13b Paradise Street, a centrepiece within the Liverpool One retail development, completes Allies and Morrison’s achievement of four awards. Allies and Morrison Architects are based in Southwark, south London, UK. Bob Allies and Graham Morrison set up the office in 1984, founded following its success in the competition for designing a new public square in front of Edinburgh’s National Gallery of Scotland. Recently the practice has taken a stance against ubiquitous ‘iconic architecture’ (alongside Deyan Sudjic and myself). The studio produces good quality buildings with elegant detailing, often in brick. 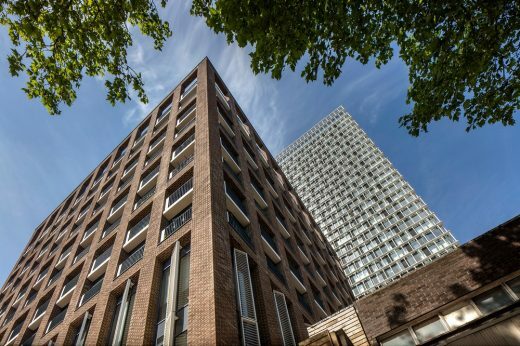 In an age where anything seems to go Allies & Morrison produce excellent buildings that seem to please both Clients and their architect peers.